Born in Canada, Natalie Brown’s passion for music was nurtured from a young age by her involvement in theater, gospel music, creative writing and local session work as a vocalist and writer. Upon deciding to pursue a professional music career, she moved to California and was selected to sing with internationally acclaimed Gospel recording artist Ron Kenoly during his “Welcome Home” tour in 1996. She toured around the USA and after returning to California, Natalie studied with world-renowned vocal instructors Seth Riggs (Stevie Wonder, Prince, Barbra Streisand) and Dave Stroud (Frank Ocean, Demi Lovato, Natasha Bedingfield). Natalie’s debut album “Let The Candle Burn” was released in late 2000 and contained thirteen original songs. Created with a thoughtful range of subject matter, tempo and mood throughout the album, it was enthusiastically welcomed by fans and industry personnel alike. She painted an interesting tapestry of sound on an album that included carefree, upbeat tracks, mid-tempo chill out songs and sweet soulful ballads. Natalie returned to the studio to record the 2003 Holiday album entitled “A Cool Christmas“, a 10 song Cool R&B/Pop influenced collection of Holiday favorites. After a limited edition run, the album was discontinued and is now a collector’s item. In the Spring of 2004 the digital singles ‘I Wonder‘ and ‘Queen of Me‘ were made available on Natalie’s official site. The songs garnered tremendous attention and In July 2004, ‘Queen of Me’ was released by Avex, Inc. Japan on the “Soul Essentials 7″ series with songs by Rahsaan Patterson, Earth, Wind & Fire and others. Much to the delight of fans eagerly awaiting new material, January 2009 saw the release of the long awaited sophomore album “Random Thoughts“. The album features a selection of songs with varying themes (Natalie’s Random Thoughts) that range from the inspiring “Hold Your Head Up High”, the girl power anthem “Queen of Me” and the uplifting “It’s A Beautiful Day”, to the thought provoking “What’s Going on Next Door?”, the unity rallying call of “Come Closer”, the sultry “How I Love 2 Love U”, the soulful “You’re Mysterious” and signature love ballad “I Knew You Were The One” and more. Starting in 2010 Natalie shared via her nVlogs Video Blog series the making of her 4rd full length album project entitled “The Relationship Odyssey“. The album was released on January 17, 2012 with the partial support of fans via a crowdfunding effort using the Indiegogo platform. Songs from all of Natalie’s original projects have been used extensively in Film and TV Productions world-wide and have attracted the attention of popular music artists such as Teena Marie and Chrisette Michele. “When the music began to play and her voice began to sing, I knew that I had to meet her, feel her energy and hear her voice in person. 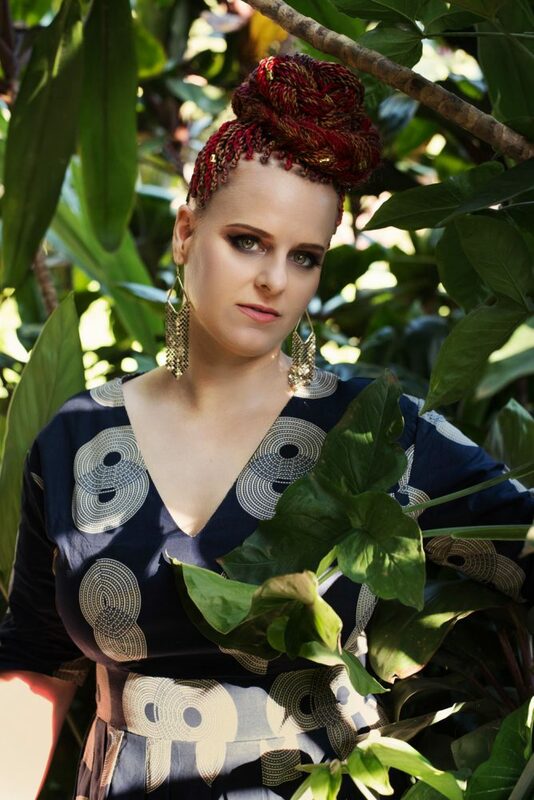 Natalie is alluring and sensual, warm and healing” says Grammy Award-winning R&B and soul singer-songwriter Chrisette Michele. Natalie’s 5th studio recording was “This Christmas”, a Holiday EP comprised of all original songs released on November 18th 2014 worldwide via iTunes, Amazon, and a host of other digital stores. The project was recorded at Natalie Brown’s Studio 302 in Ottawa, Ontario Canada beginning in 2013. Recording paused after Natalie’s Mum Anna passed away from her long battle with Breast Cancer in the summer of 2013. Whistling, hand claps, funk-strumming guitar, and a boppin’ bass line set the sonic stage for Natalie Brown’s luminous vocals on “Wish Upon a Star“, the first track of the self-released EP “This Christmas“. The up-tempo jazz-inspired “Spirit of Christmas Time” followed, marrying old-school with new-school before taking the listener back to Natalie’s Pop/R&B roots with the mid-tempo track “Favorite Time of Year“. The EP features the beautifully-rendered ballads “Save the Last Dance” and “This Christmas” – the latter being the title track of the EP and a tribute to Natalie’s mother who lost a valiant battle with cancer in 2013. With her latest release, Natalie is self-sufficient and (co-) runs her own independent record label, publishing company and recording studio. After some much needed soul searching following her mother’s passing in 2013 Natalie made some very exciting changes to her life and moved to the continent of Africa. After spending some time in Kenya in 2015, she settled in Kampala, Uganda with her husband and long-time musical partner Jeremy Rwakaara. Together they have begun to explore new adventures and record music in the warm African sun. In June 2017 Natalie released her single “You’re No Good” that had been written for a movie which ultimately did not get placed in the production free to fans. Currently, Natalie shares her adventurous, unconventional new life with subscribers on YouTube via her weekly Vlog (video blog). With a substantial body of recorded work behind her, Natalie is working on exciting new projects in 2017. Make sure you are subscribed to her newsletter to get the latest updates delivered via email.